Hi guys! 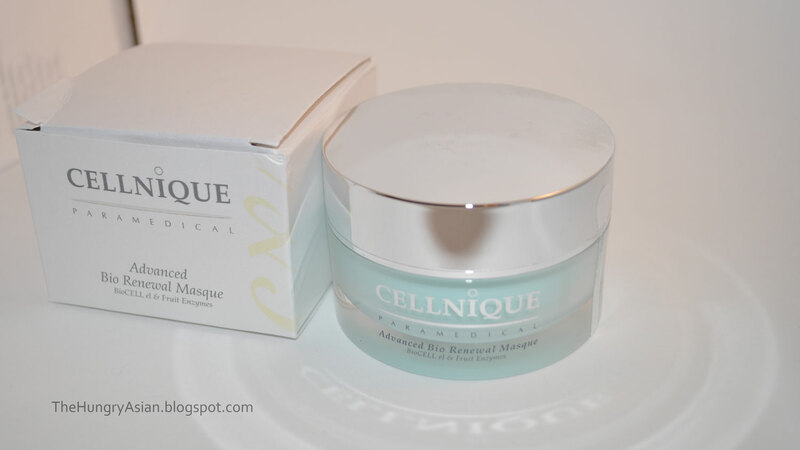 I was contacted by Cellnique about trying some of their skincare products. I have problem skin that is starting to show signs of aging so I accepted! Let me tell you about my skin first. I am very acne-prone and sensitive with oily t-zone. 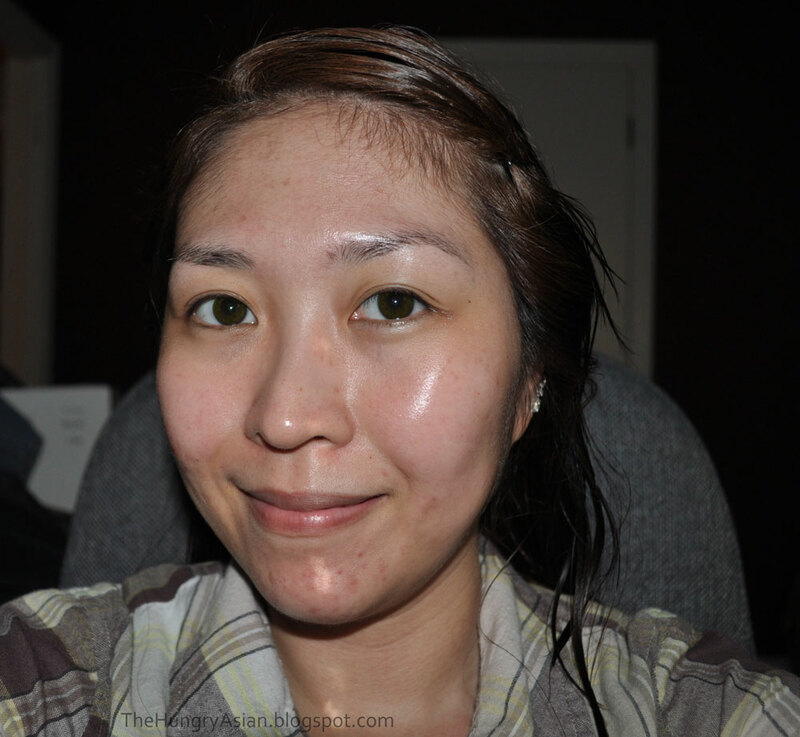 I also have a lot of scarring from acne (prior and current) and skin discoloration/uneven complexion. I have mild/moderate adult acne, but when I was a teenager I had perfect skin! I pretty much have hated my skin now for the past 8 years or so. I wear heavy full coverage foundation because of this and sometimes I wonder if it's all just a vicious cycle. I also have fine lines around my eyes and where my dark circles are and around my mouth. Based on what I told Cellnique about my skin and problem areas (what I listed above) they sent me 4 products that were suited for me. I hope to achieve a more even complexion, less breakouts and something to lessen the effects of aging. I only have fine lines/wrinkles so I wasn't sure if I would see results, but I am hoping for the best about the rest! I started using the products on July 1st. I used each product twice a day. So on to the review, it's pretty long with before and after pics (yikes!). This unparalleled scrub masque is formulated with bio-captured fresh fruit enzymes and acids complex. 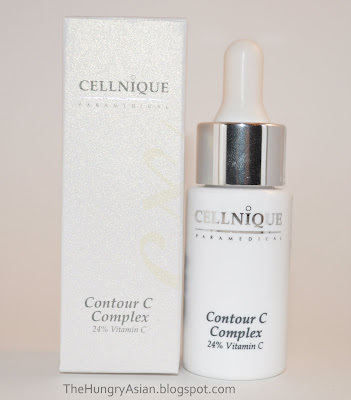 It works effectively in exfoliating dead cells, optimizing cellular renewal performance and deep pore cleansing, thus revealing a softer, fresher and healthier skin. Purified Water (Aqua), Glycerin, Kaolin, Glycolic Acid, Glyceryl Stearate, Cetyl Alcohol, C12-20 Acid PEG-8 Ester, Polysorbate 20, Potassium Cetyl Phosphate, Papaya (Carica papaya) Enzyme (Papain), Phenoxyethanol, Trithanolamine, Caprylyl Glycol, Titanium Dioxide, Citric Acid, Pomelo (Citrus grandis) Peel Extract, Pineapple (Ananas sativus) Fruit Extract, Acrylate / C10-30 Alkyl Acrylate Crosspolymer, Fragrance, Disodium EDTA, Methylparaben, Ethylparaben, Propylparaben, Butylparaben, Potassium Sorbate. Here I am wearing the mask! The instructions say to use once a week. The mask comes in a jar, I do wish they had included a spatula so that I'm not sticking my fingers in it. What I end up doing is bending my finger and dipping my knuckle in and scooping it out. Otherwise it will get all stuck under my nails, which I hate. The texture of it is very thick, and slightly gritty. Smooth enough to apply easily over my face. To me, the smell is quite bad. It smells like a pina colada that got a generous dousing of soy sauce in it. The first time I used this I could barely stand it. I have now used this 3 more times since and now I don't mind the scent at all. So it may take some time to get used to the smell (or you may like it right away!). I apply this on my clean face and rub it in small circular strokes for a minute and leave it on for about 10 minutes and wash it off. You can feel this mask while it is on, it feels tingly sometimes a little uncomfortable. The first time I wore it I had to wash it off after 5 minutes but now I wear it for at least 10 minutes and have no irritation at all. Once I wash off the mask, wow! It pulls up all the junk in your pores! Especially on my nose I could see stuff coming out of my blackheads eeeew. My skin felt radiant after. I love, love this mask. It took me a few weeks to get used to some of the sensations but the effects of it are amazing from the start! 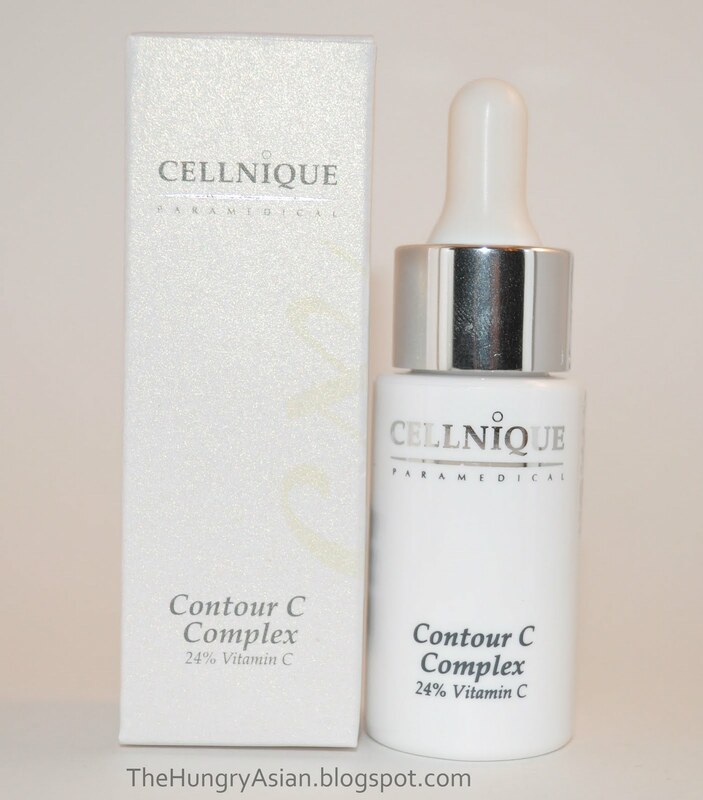 Contains high concentration of vitamin C to help promote the regeneration of connective tissue through the stimulation of fibroblast. Regular use will dramatically help reduce the signs of aging, fine lines and boost a firmer and smoother skin. It reduces the signs of aging and is an antioxidant. Purified Water (Aqua Purificata), Ascorbic Acid (Vitamin C), Palmitoyl Hydroxypropyltrimonium Amylopectin/Glycerin Crosspolymer, Butylene Glycol, Pentylene Glycol, Glucose, Diazolidinyl Urea, Bitter Orange (Citrus Anrantium Amara) Oil, Glucose Oxidase, Lactoperoxidase. Since my signs of aging are so minimal at the moment I cannot tell if this actually helps reduce the signs of aging. I still use this twice a day as the instructions say and hope that I am helping to prevent some wrinkles. It comes with an eyedropper applicator and is thin and runny in texture. It smells like oranges! I apply this under and around my eyes, then around my mouth. I massage it lightly until it absorbs into my skin. There is no sticky feeling afterwards. -Price $64.00 for half an ounce. This is a phyto bio-engineering formulation gel for all skin types to reduce both blackheads and whiteheads on affected skin area without painful extraction. This daily maintenance gel also reduces sebum secretion, leaving the skin clear and producing smooth visible results within 10 days of application. This is my favorite product out of the 4. It has changed my skin! I have not broken out in a single pimple since after the first week of using this product. I did get 2 small pimples after the first few days but were gone 3 days after they appeared and that was that. They may have already been below my skin before my treatment started. So anyways, before I would always have at least 1 pimple on my face at all times, usually 2 or 3. If I was super lucky, I could go a week pimple free, tops. As I type up this review, I have used these products for 4 full weeks and I have not had a pimple for 3. Even my most problematic areas are acne free. My skin now is very smooth. I had a ton of blackheads on my nose, and while you can still see them they are less prominent than before. The reason I know this works to control excess sebum is all my gunk filled pores on my nose are actually empty, and have been for a few weeks. Have you ever used a nose strip and afterwards you can see your empty pores? Then only to find a week later that they are all filled up and bumpy again which is what makes you use the strip in the first place. 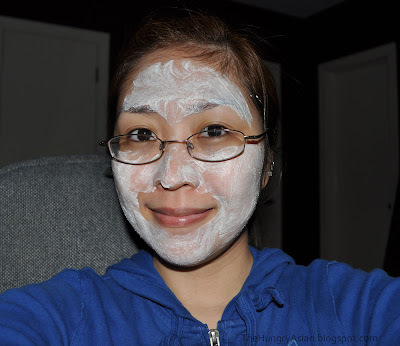 This is like that but my pores never filled up again. 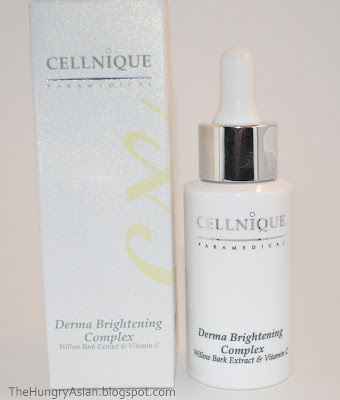 This is a clear light gel that comes out in a pump. 1 pump is more than enough to cover my face. It says to apply it only on your oily parts and/or t-zone, but I apply this all over my face. It feels cool once on your skin and absorbs very quickly with no sticky residue after. I love the coolness on my skin I look forward to putting this on every time I wash my face. Cellnique claims this gel will clear up your skin and show visible results in 10 days and this was the case for me. I highly recommend this gel, it has changed my life! I will be purchasing this when I run out of my current bottle. -None! I cannot rave enough about this product. To me, this is worth the $51 price tag. Formulated with exclusive Triple Action Melano-Targeting technology, this strongly effective yet gentle formulation works excellent on skin discoloration, dull and uneven skin tone, restores skin’s luminous glow without provoking any skin irritation or peeling. Unprecedented clarity radiates from within. Purified Water (Aqua), Sodium Hyaluronate, Ethoxydiglycol, Vitamin C (L-Ascorbic Acid), Butylene Glycol, Glycerin, Lactic Acid, Kojic Acid, Polyvinylpyrrolidone (PVP), Hydroxyethyl Cellulose, Diazolidinyl Urea, Methylparaben, Sodium Hydroxide, Propylparaben, Willow (Salix nigra) Bark Extract. 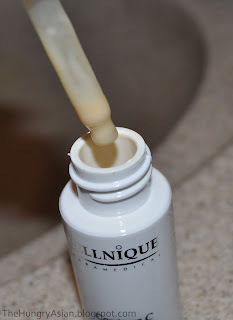 This also comes in an eyedropper bottle, and it is a clear runny liquid as you can see in my picture. It smells wonderful, like syrup infused with lemon zest. I take 2-3 drops and apply this all over my face. This is my second to last step for my new daily skin regimen. It feels very light, but stays sticky on my face. Which is okay since once it is absorbed into my skin I apply moisturizer. 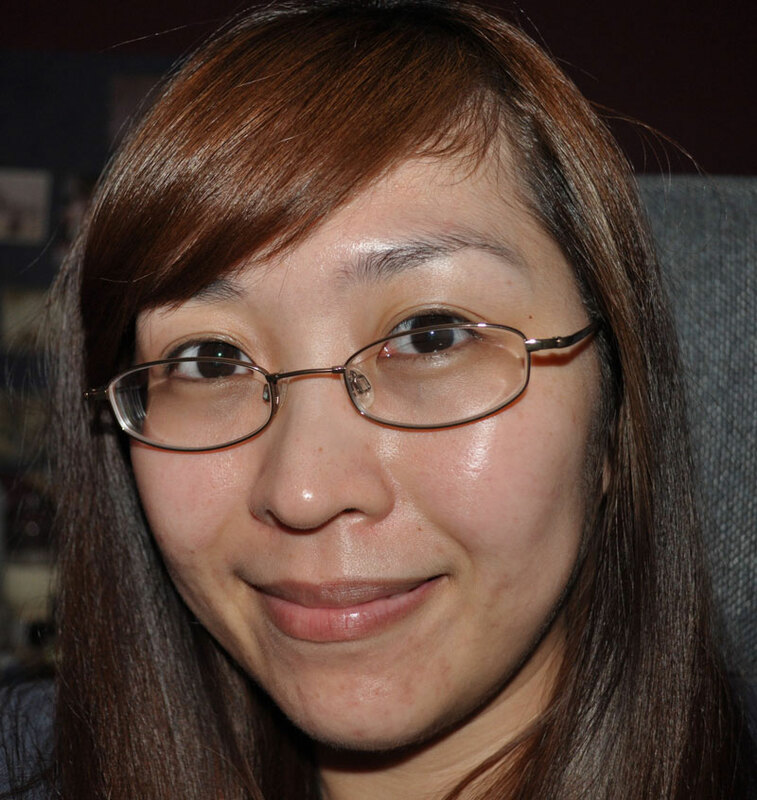 I used to have dry patches on my cheeks where foundation would settle and you could see each flaky piece of skin. Now my whole face is soooo smooth and there isn't a speck of dry skin to be found! I do think that this has helped a little with brightening up my complexion as well. I was fairly lucky I had just recovered from some breakouts (2 on my right cheek and several on chin) when the products came so my before shot may not look so bad but I had a miserable week before. This is such an unflattering goofy photo of me lol. This was right after using the mask for the 2nd time. After 1 week of use I did get 2 tiny pimples on my chin, but they were just little whiteheads that went away in a few days. That is the only time I ever broke out again. 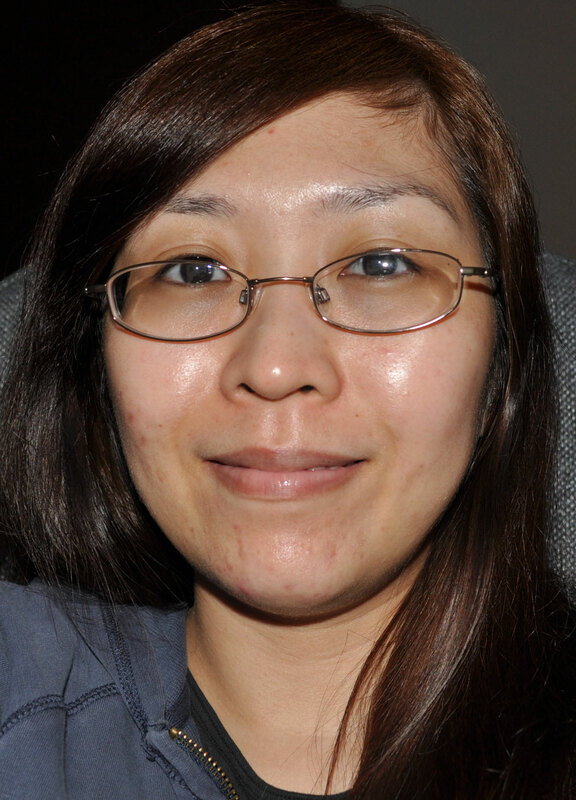 With the exception of the two tiny whiteheads after week 1, I have been acne free! I have never ever gone over a week in 8 or so years before this without some breakout. I'm bare faced in this picture. I still have scars on my chin and side of my cheek but foundation covers it up. I have tried numerous products in the past and none of it worked so I was extremely skeptical about these products. I was proven wrong! If you have any mild to moderate acne issues I do recommend the Skin Action Sebum Gel. Even if you don't have acne it's great because it helps control sebum. 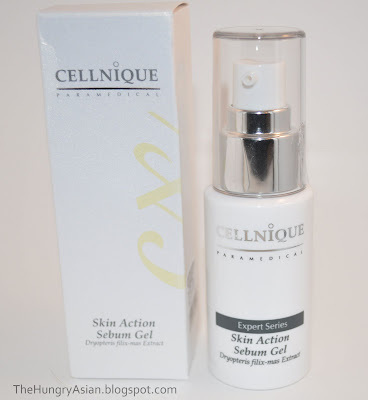 Cellnique's website offers live help if you need assistance in finding a product right for you and their website is extremely informative about each of their products. They have a lot of items based on your needs so if you ever thought about some skincare products I do highly recommend them. I know I have been raving about the products I got to try but they truly worked for me, and I wanted to share it with everyone. As I type this conclusion I have been using my 4 products for 42 days exactly and still not a pimple in sight. Here is your chance to try my favorite product, the Skin Action Sebum Gel for free! 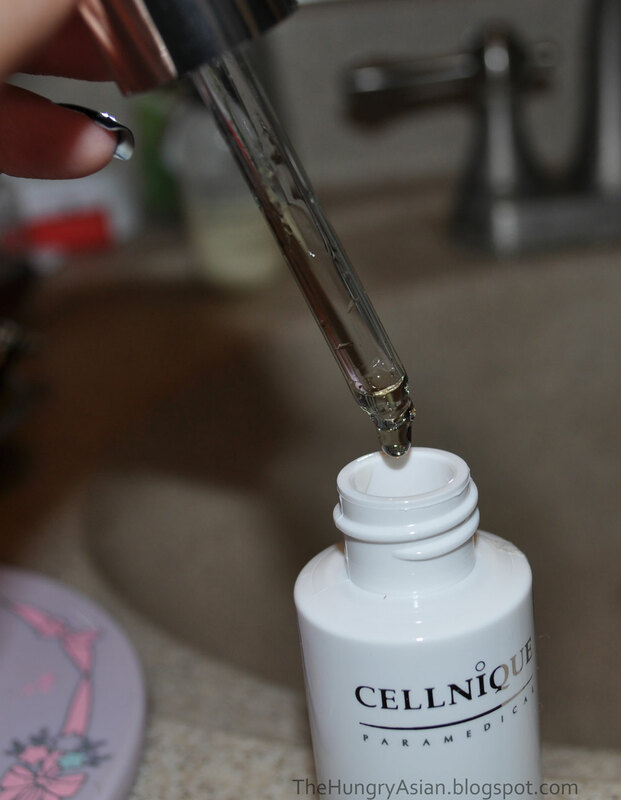 The first 50 readers to register on their site and fill out a form will get a 3ml sample size of the gel. Domestic and International! The part where it asks "Where did you hear about us?" put thehungryasian.blogspot.com. So they know which sample to send you. If you have a blog you can put it in the Company line. That's it! This offer ends on Sunday, August 22nd so get to it!